NUMA1 antibody recognizes nuclear mitotic apparatus protein 1, also known as SP-H antigen, nuclear matrix protein-22 or NMP22. Mouse anti Human NUMA1 antibody recognizes the nuclear mitotic apparatus protein 1, also known as SP-H antigen, nuclear matrix protein-22, NMP22 and structural nuclear protein. 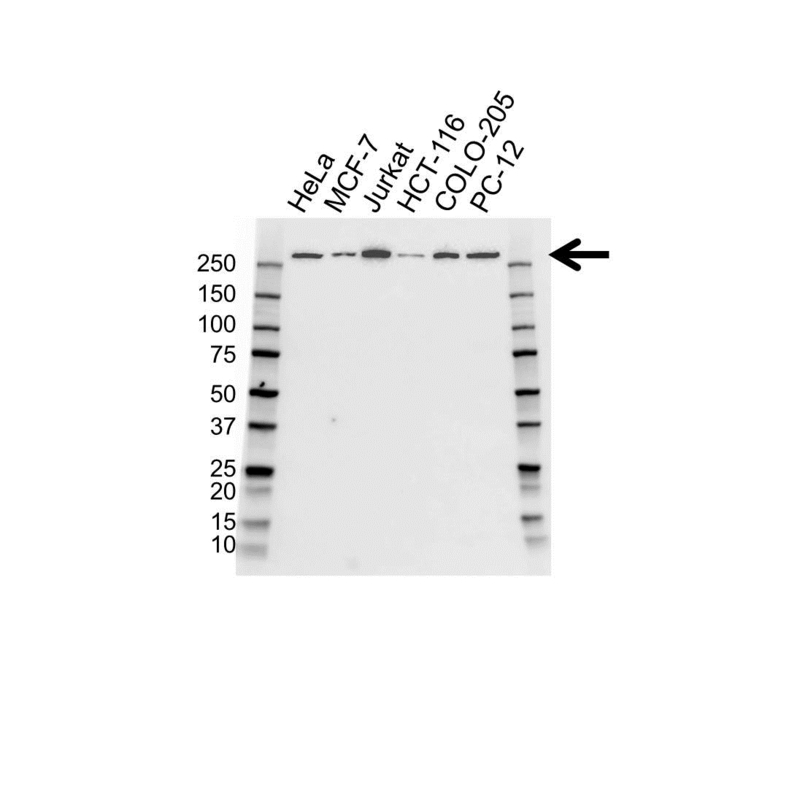 Mouse anti Human NUMA1 antibody detects a band of 280 kDa. The antibody has been extensively validated for western blotting using whole cell lysates.